In her zeal to combat America’s existential immigration crisis, Ann Coulter denounces all immigrants as culturally (and genetically) inferior to Americans. Coulter’s views regarding Gov. Nikki Haley (R-SC) are emblematic of her worldview. Yes, Coulter called Nikki Haley an ignorant immigrant! In reality, Haley is a native South Carolinian well-versed in its history. According to Coulter’s logic, Nikki Haley had to be ignorant because she was an immigrant and she had to be an immigrant because of her ethnicity. Coulter’s false claim perfectly fits into her dehumanizing, anti-immigrant narrative – all to sell a book and an agenda. Coulter is captured by her own racial, xenophobic paradigm. Coulter wields the word “immigrant” like an epithet. In a recent tweet, Coulter compared Haley to terrorists! Why does Coulter denigrate and despise Haley, who is a successful and popular governor of a major state? Is it because Haley is not of white Anglo-Saxon heritage? Is it because, in her eyes, Haley is a foreigner who somehow became a governor but Coulter couldn’t even find a party to support her run for Congress in Connecticut? Why does Coulter attack Haley? Coulter calls first-generation Americans (citizens) second-generation immigrants to fudge her data, flesh out her case, and blur the concept of American-ness. Haley’s success contradicts Coulter’s stereotype of legal immigrants and threatens her agenda. Coulter’s attacks upon Gov. Haley are not an aberration but, rather, manifestations of how Coulter thinks and feels – about herself and others. Coulter regards herself as extraordinary, as the measure – the gold standard – of patriotism, of conservatism, of Christianity. In her exasperation with Haley, we see the coalescence of elitism, classism, racism, nativism, and narcissism – all intertwined into the being we now know as Ann Coulter. Coulter has developed an immeasurable sense of superiority toward others, constantly contending that she knows best, and, as a consequence, condemns Christian missionaries as fake Christians, was incensed at not being invited to speak at CPAC, denies that ISIS is in America, and insists Romney should be the 2016 GOP nominee. [But Coulter makes it entirely about race – White Anglo-Saxon Protestants – with the emphasis on white. Far too many people try to justify Coulter’s misdeeds. Regarding Nikki Haley, Coulter’s words were extremely clear and unhesitatingly spoken. Steve Mason: I sure can see the connection between persecuting the Rebel flag and Third World, Turd World immigration. Are we Immigration Patriots the only ones? Daniel Borchers: You can try to justify Coulter’s extremely clear and unhesitatingly spoken words, but Coulter’s false claim perfectly fits into her narrative of criticizing unworthy immigrants – all to sell a book and an agenda. John Rutowicz: And you think this will make us dislike Ann Coulter? Daniel Borchers: It’s not about like or dislike. It’s about truth and its opposite. Are you arguing that Coulter is right when she’s wrong? Haley is an American, born in America. Not an immigrant. John Rutowicz: Americans are racially European, and religiously Christian. Daniel Borchers: Where do blacks fit? Thomas Meehan: I wouldn’t wish Israel on them. Sub Saharan Africa would be nice though. Conservatives should have long ago abandoned Coulter as their spokesman. Coulter has proven herself to be, time and time again, a self-promoter interested in what is best for her  – not for conservatives and not for the country. Update: Following the State of the Union address in 2016, Coulter tweeted that Trump should deport Nikki Haley! “Maybe there is something genetic involved here, but that isn’t the point, there is definitely a cultural element.” Ann Coulter, Chronicles, 6/8/15, https://www.chroniclesmagazine.org/ann-coulter-interview-part-one/. Ann Coulter, Kennedy Nation, FBN, 6/24/15. See The Beauty of Conservatism, 2011, available as a free download at www.coulterwatch.com/beauty.pdf. Ann Coulter, Hannity, FNC, 1/12/15. Coulter’s demagoguery is virulent and racially tinged as she attacks all things foreign. With just six words, Coulter managed to convey two concepts in a rather polemical fashion. Nativism and xenophobia are two sides of the same coin. Most Americans love America. Some do not. But Coulter goes to an extreme, hating all things foreign. Even soccer. And Christian missionaries! Coulter’s family roots go back to America’s founding. They were among the first settlers. Yes, this is personal for Coulter. Her roots are primarily Scottish and Irish – Anglo-Saxon. Why Coulter’s emphasis on the racial aspect of our Anglo-Saxon roots? But those foreigners – as bad as they were – were at least white. Trump, like Coulter, assumes there must be “some” good Mexicans. Coulter is absolutely correct that America is being invaded by immigrants (legal and illegal) who are changing America, politically, culturally, and economically. However, in her latest book, Coulter gets some of her “facts” mixed up and uses exaggeration and polemical hyperbole which are counterproductive and actually detract from her message. Coulter’s elitist use of “peasant” and similar terms in every interview, and her derogatory insults diminish her message and tarnish her credibility. Promoting racial politics conjures up visions of the Know Nothing Party, America Firsters who represented the xenophobes of their era. Coulter insists, “American culture is WASP culture.” But for Coulter, the most important component of that acronym is the beginning: White. So, when Coulter speaks of culture, she really does mean race. Ann Coulter, Lou Dobbs Tonight, FBN, 6/12/15. Ann Coulter, Free Speech with Gavin McInnis, 6/8/15. Ann Coulter, Heritage Foundation, 7/11/14. Ann Coulter, The Big Idea with Donnie Deutsch, CNBC, 10/8/07. See Chapter 1: “The Seduction of Ann Coulter,” The Beauty of Conservatism, 2011, available as a free download at www.coulterwatch.com/beauty.pdf; Chapter 1: “Roots: Ann Coulter’s Christian Heritage,” The Gospel According to Ann Coulter, 2012, available as a free download at www.coulterwatch.com/gospel.pdf; and Chapter 1: “Rising Crème: Narcissism – A Primer,” Vanity: Ann Coulter’s Quest for Glory, 2012, available as a free download at www.coulterwatch.com/vanity.pdf. Ann Coulter, Chronicles, 6/8/15, https://www.chroniclesmagazine.org/ann-coulter-interview-part-one/. Ann Coulter, Boston Herald Drive, 6/4/15. Ann Coulter, America with Jorge Ramos, Fusion, 5/26/15. Ann Coulter, quoted by Lloyd Grove, “Coulter Hates ‘the Browning of America,’” Daily Beast, 5/26/15. Ann Coulter is incredibly confused about race. She says that whites owe blacks for slavery but that the GOP should ignore blacks and court whites. Moreover, according to her, browns are never victims of racism. Incredibly, Coulter lambastes the racial grievance industry while advocating for the cult of victimhood, the core component of that industry. Coulter is as confused in her own views on race as transracial people are in their own identities. 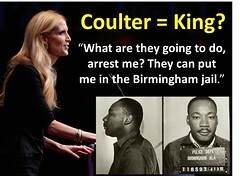 Coulter first advanced her bogus civil rights theory in Mugged (2012), which posits that civil rights are only for blacks! She was wrong then and she’s wrong now. In Mugged, an otherwise exquisite book, Coulter was dreadfully wrong on the issue of race. And she still does not get it! The Civil Rights Amendments and Acts that Coulter refers to in her commentary were designed to include blacks – and others – into the pool of individuals whose civil rights are guaranteed. Civil rights, which Coulter can’t quite grasp, are for all citizens – not just blacks. Blacks were not given special rights but equal rights. Is that so hard for a constitutional attorney to grasp? The whole point of the exercise – of the entire Civil Rights Movement – was to enshrine equality under the law. Remember King’s I Have a Dream speech? Character, not skin color. Lady Justice is colorblind for a reason! Coulter once had a far firmer grasp of civil rights than she does now. It is puzzling that she has joined the racial grievance industry on racial identity and racial grievances, having once condemned the racial grievance industry. Yes, the debt has long been paid. Coulter correctly noted, “The Great Society programs are what destroyed the black community, and the left doesn’t want us to notice that.” We see the self-evident effects of fifty years of liberal rule in many major metropolitan areas, including Baltimore. The continuing chaos in Ferguson is emblematic of these dysfunctional liberal regimes, which – due to its ideology – are self-destructive. A dysfunctional black subculture arose after the welfare state was established, with present-day Detroit and Baltimore prime examples of liberal Democrat failure. Many contemporary black conservatives have noted that black families were intact prior to the welfare state and the nuclear black family has been decimated by the welfare state. Race-based solutions to problems never work. But now Coulter embraces the central tenet of the racial grievance industry: victimization. In an utterly ridiculous manner, Coulter is emulating the Left in advancing a race-based victim culture. Coulter claims that America owes blacks for slavery but aren’t blacks part of America? She seems to be treating blacks as second-class citizens who can’t better themselves, yet she urges the GOP to ignore blacks and court white votes, even as she amazingly defends race-based “civil rights” under a racial mindset which belongs to a bygone era. Coulter’s solution to America’s contemporary ills is to advance the whiteness of America. Coulter explicitly targets whites for advancement. The acronym WASP – White Anglo-Saxon Protestant – accurately identifies Coulter’s perfect solution for restoring American greatness. She goes to great length underscoring the Anglo-Saxon origins of this nation and, at times, promotes its Protestant underpinnings, but, in the end, when Coulter addresses our cultural or religious roots, they are merely proxies for race. Even though Coulter treats black people as a protected group, she targets White America for votes. For Coulter, blacks were beneficiaries – but not originators – of American culture. We need, today, according to Coulter, to let white men save the day. But Coulter has adopted an elitist sense of superiority veering toward racism and condescension. How else to understand this remark: “And I agree with that, we are not allowed to insult black people. Blacks, African-Americans can boss us around.” Say what? To an Hispanic questioner, Coulter shouted, “The answer is: you’re not black, so drop the racism crap.” As I’ve noted before, Coulter actually uses race as a criterion for racism when, in fact, anyone from any race can be guilty of – or a victim of – racism. To conclude this column, let’s look at some relevant comments from key black leaders, past and present. From Frederick Douglass and Booker T. Washington, to Dr. Martin Luther King, Jr. and Clarence Thomas, America’s black leaders have observed that black people don’t want to be treated as either inferior or as victims, but as equals. Equals. Equality under the law. Ann Coulter, Red Eye, FNC, 6/6/15. Remember, Coulter’s own law firm, the Center for Individual Rights, has defended non-black plaintiffs suing due to racial discrimination. 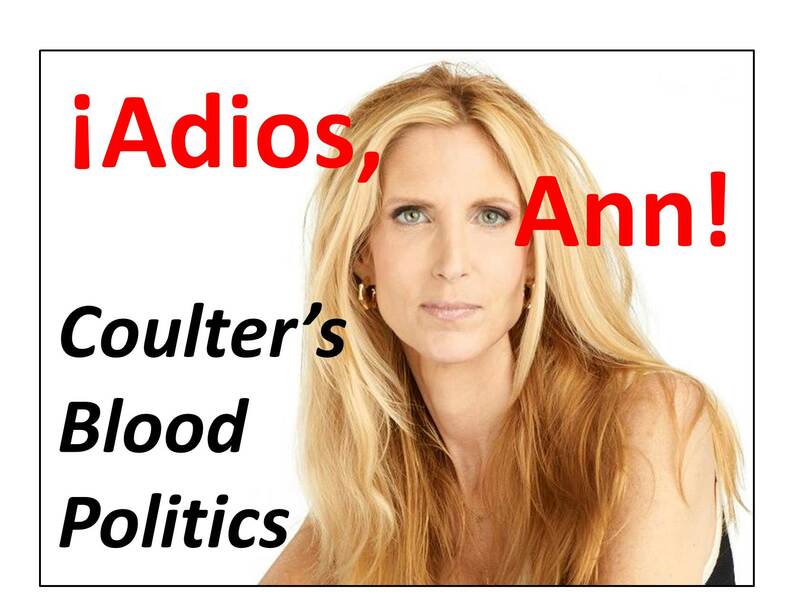 See “Adios, Ann: Coulter’s Blood Politics” at http://wp.me/p4jHFp-6H. For more on Coulter’s sometimes bizarre formulations on race, class, and gender, see chapter “Chapter 10: Equality: Self-Evident Truths,” in my free PDF book, The Gospel According to Ann Coulter, which is available for download at http://www.CoulterWatch.com/gospel.pdf. Proposition 209 was modeled on, and mirrored, the Civil Rights Act of 1964. Ann Coulter, Hannity, FNC, 5/11/15. See Chapter 4: “Prejudice,” Vanity: Ann Coulter’s Quest for Glory, 2012, available as a free download at www.coulterwatch.com/vanity.pdf. 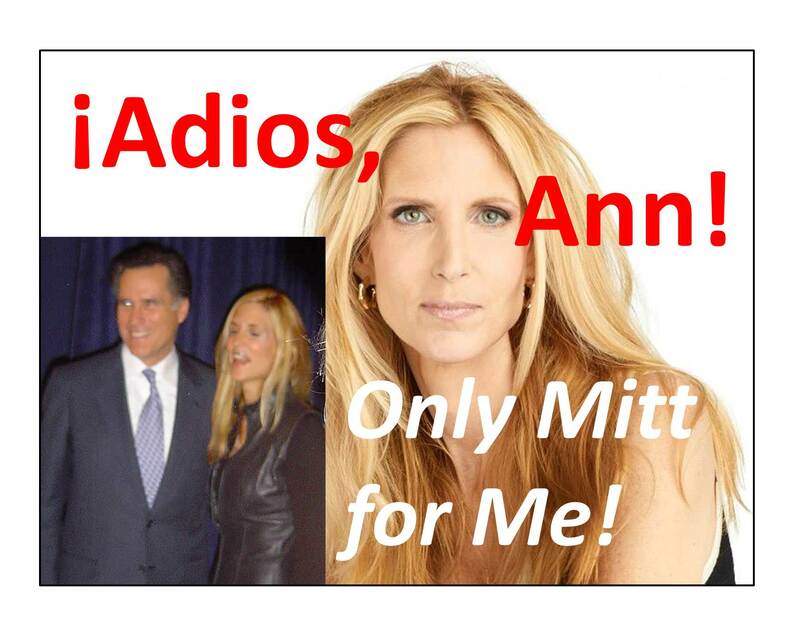 Adios, Ann: Only Mitt for Me! In her latest book and book tour, Ann Coulter unveils her innermost being as she advances a universal conspiracy theory to destroy America. During her Adios, America! book tour, Coulter championed an identity politics given the David Duke seal of approval, and heralded Mitt Romney as the savior of the nation (and the world). To do so, Coulter uses slash-and-burn politics and engages in the politics of personal destruction. She also lied about presidential elections in 1980, 2008, and 2012, trashing Reagan’s legacy while deifying Romney. In the process, Coulter glories in being an elite among elites even as she rails against her peers and her betters. Coulter proffers several conspiracy theories – though in 1998, she contended that only liberals are conspiracists. At that time, she even denied the existence of any conspiracy requiring more than two or three people. But now Coulter claims, “It’s not a crazy conspiracy theory.” Moreover, the Conservative Book Club apparently agrees, promoting Adios, America! as “Ann Coulter Exposes The Illegal Immigration Cabal.”  Conservative! Cabal! Nevertheless, Coulter has actually entertained conspiracy theories for a number of years. Not surprisingly, her theories revolve around herself and her interests. Coulter asserts that a near universal conspiracy of anti-American liberals, corporate conservatives, greedy churches, et. al., all seek to destroy America as we know it. Yes, all of these elites are conspiring and opposed to the will of the American people. Coulter feels beleaguered, claiming, “It’s pretty much three talk radio hosts, three bloggers, when I force him to talk about it, Sean Hannity, and our savior, Matt Drudge.” Yes, Ann even has to “force” her friend, Sean, to talk about immigration. It all turns back to Coulter, who alone can save America from demographic suicide! In a remarkable column posted on Daily Caller – and then removed by Daily Caller – Coulter attacked every GOP presidential candidate. That is what Ann Coulter does. Slash-and-burn politics, destroying everything and everyone opposed to her agenda. Rhetorical carpet bombing – as she did in 2012 – against all those who threaten the candidacy of her political savior. As a whole, Coulter regards the current and potential GOP presidential candidates as “idiot Republicans.” “They’re all pretty disastrous [candidates],” according to Coulter. As for specific candidates, “Much like Saddam, there are so many reasons to dislike Jeb Bush.” Coulter likens Bush to a maniacal madman who killed and tortured countless people? Actually, the Tea Party sought to keep out the RINOs Coulter fought to elect. Not only are all of these alleged conspirators wrong, in Coulter’s eyes, but they are guilty of evil motives. That’s right: Romney was defeated because all of the other GOP candidates were envious of Romney. Everyone who thinks or behaves differently from what Coulter regards as right is evil! Remember, Coulter is the smart one! Born and bred an elite, Coulter has an extraordinarily overly-developed sense of superiority. Here, Coulter casts herself in the role of virtually the only virtuous elite. Coulter, a multi-millionaire herself, was privileged to attend a private dinner party exclusively for billionaires, and she harangues them – and calls them stupid! 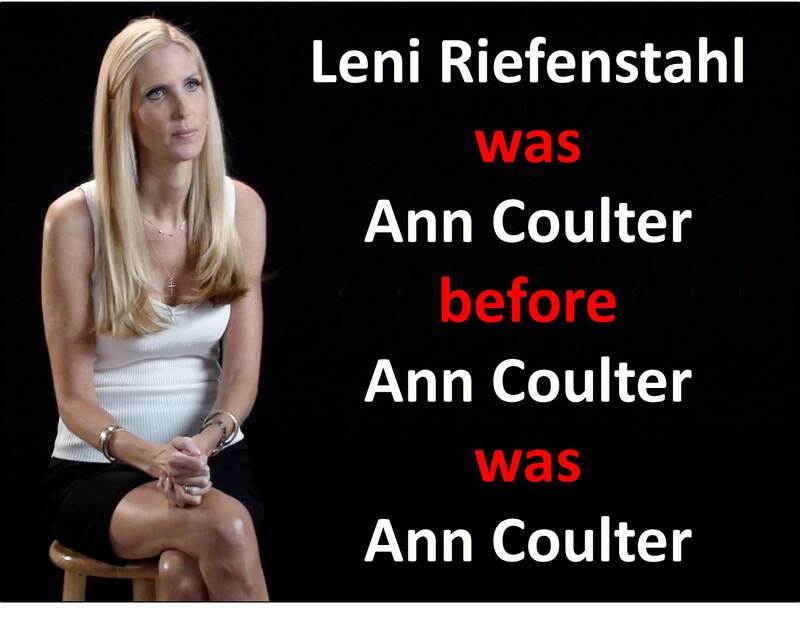 Coulter’s message – trust Ann: Coulter knows best. It is with such a winsome approach – one that Coulter has honed for nearly two decades – that she seeks political converts. Coulter is so petulantly insistent that Romney be the GOP nominee in 2016, that she not only employs the politics of personal destruction against all of his rivals (even though Romney is not running), but she would, if she could, force Romney to run! It’s all up to Coulter: her plan, her action, her goal. Pardon me, Ann, but the Gipper was brilliant, thoroughly conversant with the issues, utterly conservative, and articulated his principles better than most, including William F. Buckley, Jr. When Reagan spoke to the American people, they could relate to him and they could grasp his message. Has Coulter not heard of Putin’s efforts to restore that empire? Or Iran’s growing hegemony in the Middle East? Or China’s growing hegemony in the Far East? Or Islamic jihadist’s growing power around the world – and in the United States? According to Coulter, these are all efforts by the media to distract us from the immigration crisis. But Coulter has a plan! To buttress her assertions, Coulter fabricates fantasies. With 1980 demographics, Romney would have received 52% to Obama’s 46% – a 6 point spread. But Reagan won in 1980 with a 10 point lead. In 1980, Reagan received 51% of the popular vote; Carter, 41%. Moreover, a better comparison would be between incumbent presidents: Reagan in 1984, Obama in 2012. In 1984, Reagan received 59% of the popular vote; Mondale, 41% – an 18 point spread. Coulter has been – and remains – Mitt Romney’s biggest cheerleader. Calling herself a “one-issue” voter, Coulter excuses Romney’s flip-flopping on abortion rights (from pro-choice to pro-life) because “he flipped on it our way” and when he was pro-choice, it was 1994 and “he was trying to take out Teddy Kennedy” in the Massachusetts Senate race. But have no fear: Coulter has a plan! Coulter: “I think Republican primary voters will realize, oh my gosh, we were lied to by idiots who said they were speaking on our behalf. Mitt Romney not only the most articulate but the conservative candidate we ever had. I love Scott Walker, but I would really prefer for him to be Mitt Romney’s vice president for a few years. Ann Coulter, “Ann Coulter Exposes The Illegal Immigration Cabal,” Conservative Book Club interview, http://www.conservativebookclub.com/ann-coulter-exposes-the-illegal-immigration-cabal/. Ann Coulter, The Blaze, 6/3/15. Ann Coulter, Ben Shapiro Show, KTTH, 6/5/15. Ann Coulter, Mike Gallagher Show, WDTK, 6/3/15. Ann Coulter, Sean Hannity Show, Premiere Radio Networks, 6/1/15. Ann Coulter, Joe Piscopo Show, WNYM, 6/5/15. Ann Coulter, “Most GOP Champions Are Immigration Sellouts,” Daily Caller, 6/2/15, http://webcache.googleusercontent.com/search?q=cache:Bnrg13BJTcgJ:dailycaller.com/2015/06/02/most-gop-champions-are-immigration-sellouts/1/. See Case Study # 6: “Romney v. Everyone Else,” Propaganda: Orwell in the Age of Ann Coulter, 2014, available as a free download at www.coulterwatch.com/propaganda.pdf. Ann Coulter, interview at KSU, Kennesaw, GA 4/22/15. Ann Coulter, Mark Simone Show, WOR, 5/7/15. Coulter is so confused! Palin was a successful governor! Ann Coulter, Adios, America: The Left’s Plan to Turn Our Country Into a Third World Hellhole, Regnery, 2015, pg. 276. Ann Coulter, Eric Metaxas Show, Salem Media Group, 6/4/15. Ann Coulter, Sean Hannity Show, Premiere Radio Networks, 6/9/15. Ann Coulter, Garrison, WIBC, 6/8/15. Coulter almost single-handedly (and, certainly, single-mindedly) foisted Romney on an unwilling Republican electorate, only to see his decisive loss. In denying that he was less than an ideal candidate, Coulter can thereby deny her part in Obama’s reelection. See Case Study # 7: “Mitt Romney – Ideal Candidate,” Vanity: Ann Coulter’s Quest for Glory, available as a free download at www.coulterwatch.com/vanity.pdf. Ann Coulter, Laura Ingraham Show, 6/3/15. Ann Coulter, Howie Carr Show, WRKO, 3/31/14. Ann Coulter, Hannity, FNC, 5/11/5. Ann Coulter, Joyce Kaufman Show, WFTL, 5/8/15. Ann Coulter, “Knowing What We Know Now, Would You Say Jeb Bush is Retarded?” 5/20/15. See “Coulter’s Iraq War Nonsense” at http://wp.me/p4jHFp-6j. 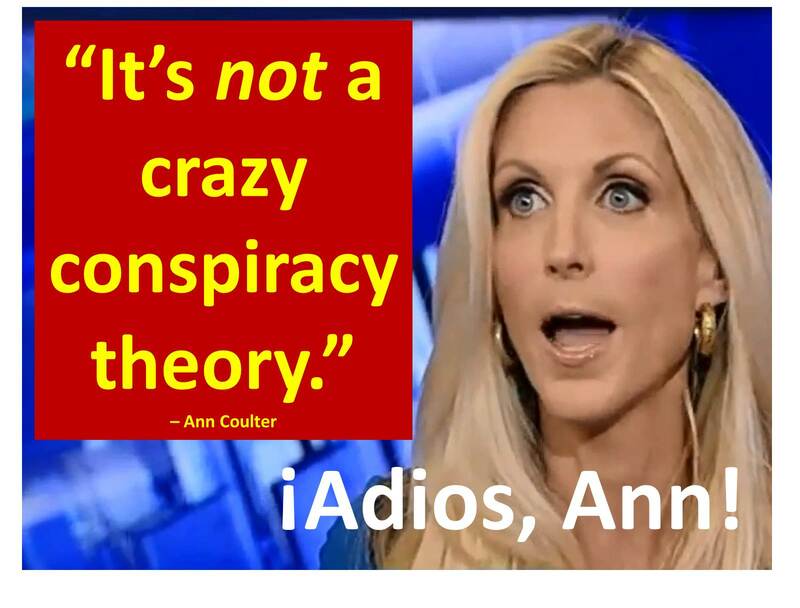 Ann Coulter, “Ramos Can Stay, But Matt Lauer Has to Go,” 5/27/15. See “Chapter 11: The Beauty of Conservatism,” The Beauty of Conservatism, 2011, available as a free PDF download at www.coulterwatch.com/beauty.pdf. See “Chapter 2: Presidential Follies,” Never Trust Ann Coulter – at ANY Age, 2013, available as a free PDF download at www.coulterwatch.com/never.pdf. See “Case Study # 6: Romney v. Everyone Else,” Propaganda: Orwell in the Age of Ann Coulter, 2014, available as a free PDF download at www.coulterwatch.com/propaganda.pdf. Sean Hannity, Sean Hannity Show, Premiere Radio Networks, 3/4/15. Ann Coulter, Sean Hannity Show, Premiere Radio Networks, 9/14/15. Ann Coulter, tweet, 10/8/15, 11:56 a.m.
 Ann Coulter, tweet, 10/21/15, 6:36 p.m.
Coulter lied about her credentials and she lied about ISIS and Mexican immigration. Now, Coulter promotes blood politics while decrying blood politics. Every time Coulter has been interviewed about her new book on Fox News, the hosts have begun by asking her whether she expects to be called a racist. Invariably, the answer is in the affirmative, with Coulter claiming that 1) the Left is afraid to debate her and 2) spurious charges of racism is their only recourse to the truth she proclaims. Invariably, the hosts line of questioning is designed to inoculate Coulter from such charges and, also invariably, the hosts never actually consider the validity of the question. Overlooked are the many and varied reasons so many people suspect she is racist. Coulter has been hostile to countries across the globe and vilified overseas Christian missionaries. She has demeaned seemingly every racial group imaginable and openly displayed her prejudices. It is a small wonder that some people regard Coulter as racist. Coulter is correct in identifying major cultural transformations in America due, in large measure, to unbridled immigration and the Left’s refusal to pursue a proper integration into the existing American culture. She is also conversant with the Left’s obsession with identity politics and cautions conservatives from adopting their positions. Liberalism’s penchant for voting (and judging) on the basis of race, gender, or class is a Marxist, not an American, notion. So far, so good. Coulter first stated the standard: the American Anglo-Saxon tradition. She then identified the problem: identity politics. For all Coulter’s stuff and nonsense about her book, her viewpoint, and her mission being about cultural preservation, they are not. Coulter is not seeking to preserve an American culture but a white culture. She couches it in other terms – Anglo-Saxon, British, Western European, etc. – but, at heart, she means white. Are there not voters who are black, Asian, and Hispanic who believe in Rev. King’s colorblind vision of the world, who believe in a constitutional and republican form of government, and who cherish the values of America’s Founding Fathers? I would argue “Yes.” Coulter apparently believes otherwise. No! Don’t appeal to whites! Appeal to Americans! Coulter continues: “Any party incapable of winning the vote of white men ought to hang its head in shame.” I would argue that blacks should overwhelmingly support conservatives given the abject failures of liberal policies over the last fifty years. But Coulter focus is on whites. Does Coulter really believe this stuff? Only the white man could have tamed the North American continent? She thinks so! No one else – except white men from western Europe – could possibly colonize and civilize America? Even today? Surprisingly, Coulter reiterates already debunked claims from several years ago, namely that civil rights are an exclusively black thing. Coulter clearly does not understand what constitutes racism. Coulter actually uses race as a criterion for racism when, in fact, anyone from any race can be guilty of – or a victim of – racism. But Coulter’s position is absolutely astonishing in that she hails conservative author and intellectual Thomas Sowell as “the greatest economist” and she claims to have read most of his books. If her claim is true, then she must modify her reading habits to concentrate on absorbing what she reads. Sowell repeatedly condemns thinking such as that displayed by Coulter. I am reminded of her similar nonsense when she was on tour for Mugged, claiming that civil rights are only for blacks. As noted by Cornell Law School: “Discrimination based on ‘race, color, religion, or national origin’ in public establishments that have a connection to interstate commerce or are supported by the state is prohibited.” Civil rights are individual, not collective, and pertain to all citizens. But this is nonsense. America has already paid its slavery debt – many times over. The Civil War (which wiped out any economic boom from slavery) and LBJ’s Great Society/War on Poverty are but two examples. Coulter herself has known better for the better part of two decades. In the course of our personal and professional correspondence (which lasted well over a year), Ann sent me precisely one press release, suggesting its importance to her. Those students who were discriminated against were white. Still, in many ways, Coulter emulates the Left in racial thought. Update: David Duke loves Ann Coulter and Adios, America – except, he wants her to attack Jews. See also “Adios, Ann: Coulter’s Racial Confusion” at http://wp.me/p4jHFp-7f and “Adios, Ann: Diversity = White” at http://wp.me/p4jHFp-7j. Ann Coulter, Kelly File, FNC, 6/2/15. Ann Coulter, Adios, America: The Left’s Plan to Turn Our Country Into a Third World Hellhole, Regnery, 2015, pg. 257. Ann Coulter, Adios, America: The Left’s Plan to Turn Our Country Into a Third World Hellhole, Regnery, 2015, pg. 266. Ann Coulter, Adios, America: The Left’s Plan to Turn Our Country Into a Third World Hellhole, Regnery, 2015, pg. 278. Ann Coulter, Adios, America: The Left’s Plan to Turn Our Country Into a Third World Hellhole, Regnery, 2015, , pp. 51-52. Ann Coulter, Adios, America: The Left’s Plan to Turn Our Country Into a Third World Hellhole, Regnery, 2015, pg. 63. See Chapter 4: “Prejudice,” Vanity: Ann Coulter’s Quest for Glory, 2012, available as a free download at www.coulterwatch.com/vanity.pdf. For more on Coulter’s sometimes bizarre formulations on race, class, and gender, see chapter “Chapter 10: Equality: Self-Evident Truths,” in my free PDF book, The Gospel According to Ann Coulter, which is available for download at http://www.CoulterWatch.com/gospel.pdf. Ann Coulter, This Week with George Stephanopoulos, ABC, 9/23/12. See my 1998 column, “Race Does Not Matter – Part 1,” at http://www.brotherwatch.com/files/Race%20Does%20Not%20Matter%20-%20Part%201.pdf. 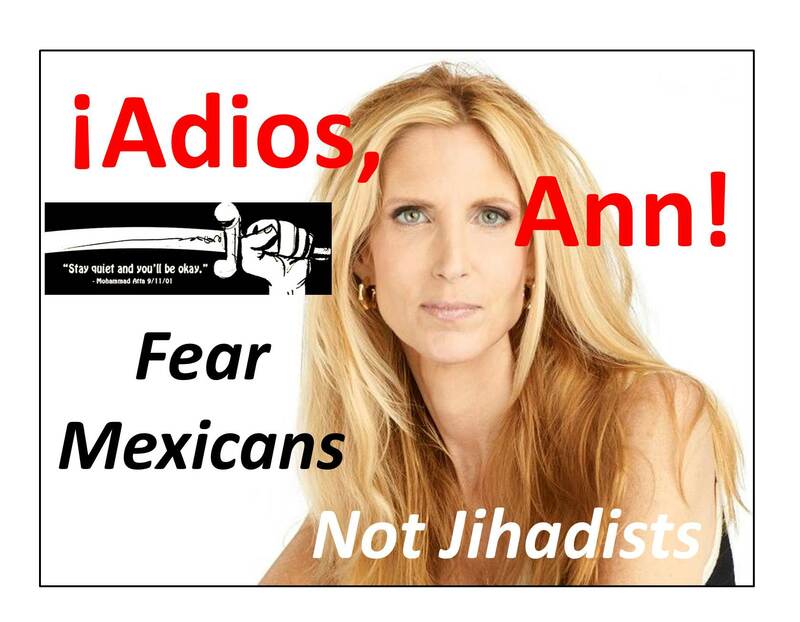 Adios, Ann: Fear Mexicans, Not Jihadists! If we can’t trust Ann Coulter with basic biographical information, then how can we trust Ann Coulter with so-called “facts” that she presents in her columns or books? With Adios, America! Coulter both exaggerates the immigration crisis and denies the jihadist threat to (and in) America. In reality, these are intertwined and interrelated crises. But, in her book and during her book tour, Coulter single-mindedly fixates on the former and willfully ignores the latter, as if we can’t dance and sing at the same time. Moreover, in seeking to STOP! immigration, she would do nothing do address either immigrants currently here legally or the rapidly growing jihadist movement within America. Cites statistics and anecdotal evidence to suggest that every illegal alien and legal immigrant is harmful to the United States. Denies the growing jihadist threat in America and would do nothing to combat it. Falsely claims that America has taken in 25% of the Mexican population. Here – and throughout her discussion on immigration – Coulter proffers a moral equivalency between Mexican immigrants and Islamic jihadists, regarding both as equally dastardly. For this entire century, Coulter has asserted that all Muslims are potential terrorists (and all liberals are de facto traitors). Now, she is apparently asserting that all Mexicans are potentially violent criminals. Coulter ignores the obvious: while some Mexicans are criminals, all terrorists are evil. In differentiating between terrorists and illegal aliens or legal immigrants, we must remember that there are differences in kind, in degree, and in motivation. One group is terroristic, will do anything to further the cause of Islamic jihad, and seeks the destruction of America. The other group is not, will not, and does not. Why not? She asserts, “ISIS is not at our doorstep.” But in her book, Coulter says that Somali immigrants legally in America are joining ISIS. While Coulter exaggerates the immigration threat, she minimizes the terrorist threat. In her obsession to attack immigrants and illegals, Coulter denies the threat posed to every American by domestic Islamic jihad. Beyond being outright wrong, Coulter’s formulation – “don’t go to Syria” – actually blames the victims of terrorist attacks. Indeed, Islamists are seeking to establish sharia law in America. Coulter is wrong – and Coulter knows it! Coulter’s lifelong friend, Pamela Geller, the organizer of the Draw Mohammed Contest, has been combating Islamic jihad in America for the better part of two decades, so this can’t be news to Coulter. Coulter boasted, “There are a lot of unbelievable facts in this book.” Coulter is right! Some of her “facts” are unbelievable because they are wrong. According to Coulter, “America has already taken in one-fourth of Mexico’s entire population.” Conservatives and immigration foes have recited that factoid as if it were holy writ. It is wrong! Coulter’s “facts” are often wrong. She misconstrues the data on Mexicans, falsely claiming that we have “taken in” one quarter of the Mexican population. Wrong! 65% of the Mexicans cited in the report were born in America! Coulter’s hatred of foreigners is legendary. Here, she is claiming Americans by birth are foreigners. If 30 million people came from Mexico into the United States, then Mexico’s population was closer to 150 million before the mass exodus. Thus, that 30 million would be 20% of 150 million. But, the report that Coulter cites as authoritative actually reports that two-thirds of that cohort were born in America. Yes, Coulter is citing Americans as being “taken in” from Mexico. Coulter’s figures are wrong! Two-thirds of people with Mexican ancestry in America were born in America. They were never “taken out” of Mexico. That drops the percentage down to less than 7% of the Mexican population. Last summer, Coulter made a discovery. She claimed to have unearthed a conspiracy! Coulter accused the entire media – from the New York Times to Fox News – of lying about the loophole which allows Central American children to receive special treatment at the border. Unlike her alleged conspiracy, the loophole that she claimed was nonexistent was real. Update: On her book tour, Coulter repeatedly erupts – “It’s madness!” – when addressing the current state of open borders. It is also madness to do as Coulter has done: 1) cite acts of Islamic terrorism in the United States at the hands of legal immigrants, 2) deny the existence of Islamic terrorists in the United States, and 3) oppose those seeking to vanquish Islamic terrorists in the United States. Coulter’s book is principally about legal immigration. Her solution to those already here legally is to enact a moratorium on future immigration so that those already here can assimilate to the native American culture. But she decries the existence of immigrant enclaves (such as entire Somali communities in Minnesota) and the existence of atrocities committed by legal residents while simultaneously thwarting those who are opposed to those atrocities and trying to to stop the radicalization of those legal residents. Here, Coulter explicitly repeats her false claims of “taken in” and 25%. See also “Ann Coulter … Dangerously Wrong!” at http://wp.me/p4jHFp-7x. See Never Trust Ann Coulter – at ANY Age, at www.coulterwatch.com/never.pdf. Ann Coulter, John Gibson Show, Fox News, 5/11/15. Ann Coulter, Hannity, FNC, 6/1/15. See also Jihad Watch, http://www.jihadwatch.org/why-jihad-watch. Ann Coulter, Sean Hannity Show, Premiere Radio Networks, 5/281/15. Ann Coulter, Mark Simone Show, WOR, 6/3/15. See “Coulter’s Scoop That Never Was” at http://t.co/SM1UL8DLVk. Ann Coulter, John Gibson Show, Fox News, 6/4/15. Ann Coulter, Howie Carr Show, WRKO, 6/3/15. Ann Coulter, The Schilling Show, WINA, 6/12/15. Bad habits die hard, if ever. Ann Coulter’s proclivity for embellishing her accomplishments continues to this day. 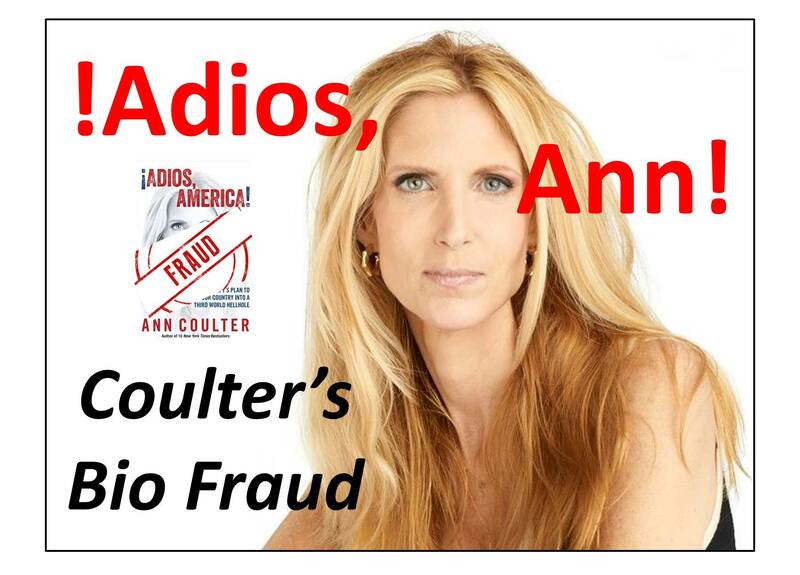 Adios, America is emblazoned with the assertion that Coulter is “Author of 10 New York Times Bestsellers.” Wrong! In 2013, Coulter insisted, “By the way, it’s now ten best sellers.” Two months later, I exposed her claim as fraudulent. Still, Coulter continues to – very unnecessarily, I might add – puff up her résumé. 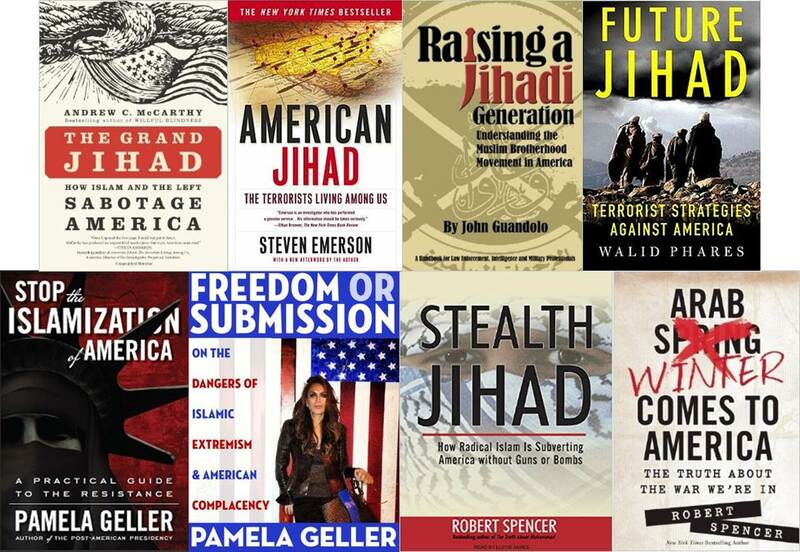 Contrary to Coulter’s contentions, her tenth book did not make the best-seller list. Even her publisher disputes Coulter’s claim. Never Trust a Liberal Over 3 did not make the bestseller list. According to Regnery, her last book made the “Also Selling” list, not the Bestseller list. Regnery maintains a list of Regnery books making the bestseller list and it necessarily includes rankings from only 1 – 15. Never Trust a Liberal Over 3 is not on this list. It would be like placing fifth in the Olympics and claiming to be an Olympic medalist, or like being virtually a virgin. Why does Regnery exclude Coulter’s tenth book from its list of published bestsellers yet promote her as a ten-time best-selling author? I suspect that we can blame Coulter more than Regnery. A little history is in order. Regnery published Coulter’s first book in 1998. At that time, Coulter boasted, “I had vituperative arguments with Regnery that required a number of tantrums to pull off.” Apparently temper tantrums work in Ann Coulter’s world. But why would Coulter lie? With such an obvious, fact-checkable lie? 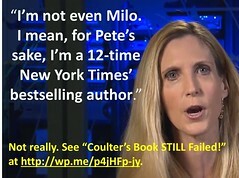 Perhaps Coulter felt her 10th book deserved to be a best-seller so she claimed it was. Perhaps she wanted a perfect record of bestsellers. Alternatively, she may have felt ashamed of her failure to make the list, especially given her history of using that list as a criterion for success. Coulter has an obsession with bestsellers. As a guest host for a three-hour talk show in 1999, Coulter repeatedly introduced herself as the author of a bestseller which was on the New York Times bestseller list longer than James Carville’s book. For Coulter, an elite’s elite, rank matters. Status matters. Image is everything. As for Adios, America, Coulter said that the publisher should move up its publication date because, “The country needs this book. … this is the best one ever.” Hubris? Not only is Coulter’s book yet another blockbuster – and magnificent to boot – but it will save America! Yes, Adios, America will save America! As if preparing an excuse for not getting a bestseller, Coulter again promoted a vast left-wing conspiracy to deny her due glory as a bestselling author. “I have an explosive book on the No. 1 issue in the country coming out next week, I’ve already written 10 New York Times best-sellers – I’d be on a postage stamp if I were a liberal – but can’t get an interview on ABC, NBC or CBS.” She made the very same claim that night on Hannity. Coulter is so paranoid that she accused her friends at Fox News of being part of this vast conspiracy of silence when her segment on Justice with Judge Jeanine was canceled due to breaking news. Coulter tweeted: “Oops – canceled. Immigration is a little too hot.” Were the two killers who escaped from a maximum security prison with the help of a prison employee part of that conspiracy, too? Yes, Coulter thinks her friends are conspiring against her. Disproving her conspiracy theory, just five days later, the New York Times published a substantive review of Godless, which became her second of two books to top the bestseller list. Although couched in humorous terms, Coulter’s personal apocalypse did not occur. Her conspiracy did not materialize. Yet another contrived Coulter controversy. History proves otherwise. Coulter committed plagiarism in at least two books: High Crimes and Misdemeanors and Godless. And she has gone to great lengths to cover-up her behavior. Asked about how she came to be an author, Coulter claimed, “I’d been writing about Clinton’s various scandals for Human Events, Regnery’s sister company, so Regnery came to me and suggested to write a book on Clinton’s impeachable crimes. Actually, Regnery first came to Michael Chapman because of his expertise on the Clinton scandals, and then he gave his notes to Coulter when she refused to co-author the book with him. Just as Coulter repeatedly and insistently lied about her bestselling status, she exhibited a similar measure of insecurity when she padded her credentials for almost three decades, claiming that she had founded the Cornell Review. That claim was made in interview after interview, profile after profile. And it was false. As with Also Selling being equivalent to Bestselling, Coulter treated being on the newspaper staff after its first edition was published as if she were a founding editor. There’s something pathological there, an irrepressible neediness and insatiable longing for approval, accolades, and acclaim. Coulter’s bio still claims, “After practicing law in private practice in New York City …” when, in fact, she was never in private law practice. Coulter worked, consecutively, for two corporate law firms, work which she described as “mind-numbingly boring.” In citing a bogus “private practice,” is she seeking to demonstrate her independence and ability to be successful on her own? Or does she feel that her legal credentials, such as they are, are insufficient as they are? In the summer leading up to Clinton’s impeachment, Coulter boasted of doing pro-bono work for her law firm: “Pro-bono work is all I do these days. My law firm is a non-profit law firm.” But according to a spokesman at the Center for Individual Rights, Coulter provided no pro-bono work for them. Clearly Coulter side-stepped the intent of the question which was whether she had ever volunteered her time. While the Center for Individual Rights does pro-bono work, Coulter was paid for her work. Long after Clinton’s impeachment took place, Coulter again boasted of her pro-bono work for Paula Jones. That year, she also boasted of her betrayal of Jones and took credit for getting Bill Clinton impeached. In a George magazine essay, Coulter defended her “motives” and accentuated her “pro-bono” generosity in aiding Paula Jones in Jones’ hour of need. Bear in mind, Paula Jones is the only known client for whom Coulter did pro bono work and Coulter, in the end, betrayed that client! Did you notice? The bulk of that paragraph describes the work CIR does, not the accomplishments of Ann Coulter. Writes and researches her own books? Not always. Founded the Cornell Review? No. Had a private law practice? Never happened. Does pro-bono work? One time. Didn’t work out so well for the client. Recently, I again watched the classic Blue Max in which the antagonist so desperately seeks Germany’s highest honor, the titular medal awarded to superior pilots during World War I. At one point, his aeronautical nemesis asked him whether people respected the medal or the man who wore it. Coulter faces a similar introspective quandary. With all of her emphasis on her professional accomplishments, literary achievements and bestseller status, does she ever wonder if she would be respected without her own literary Blue Max? Does Coulter care more about her image than about the person she has become? Ann Coulter, Daybreak with Drew Steele, Fox News, 10/28/13. See “Appendix 2: Ann Coulter’s Trust Busted,” Never Trust Ann Coulter – at ANY Age, 2013, available as a free PDF download at www.coulterwatch.com/never.pdf. Regnery’s list of its bestselling books excludes Never Trust a Liberal Over 3. Though clearly Coulter’s tenth book did not make the bestseller list, Coulter’s bio and Adios, America both claim it did. Howard Kurtz, “The Blonde Flinging Bombshells at Bill Clinton,” Washington Post, 10/16/98, http://www.washingtonpost.com/wp-srv/politics/special/clinton/stories/coulter101698.htm. Ann Coulter, interview with PJMedia, 2/2/09. Ann Coulter, Through the Mirror with Larry Sinclair, 10/10/12. Ann Coulter, Bill Frank Show, KTVA, 10/1/12. Ann Coulter, Mark Simone Show, WOR, 4/30/15. Ann Coulter, Sean Hannity Show, Premiere Radio Networks, 3/4/15. Ann Coulter, Sean Hannity Show, Premiere Radio Networks, 4/29/15. Ann Coulter, “Immigration Advocates Frightened by 99-Pound Blonde,” 6/3/15. Ann Coulter, interview at KSU, Kennesaw, GA, 4/22/15. Ann Coulter, Joyce Kaufman Show, WFTL, 2/2/15. Ann Coulter, Hannity, FNC, 5/27/15. Ann Coulter, tweet, 11:45 a.m., 6/13/15. Ann Coulter, “Hey you, browsing ‘Godless’ – buy the book or get out!” 6/7/06. David Carr, “Deadly Intent: Ann Coulter, Word Warrior,” New York Times, 6/12/06, http://www.nytimes.com/2006/06/12/business/media/12carr.html?_r=0. See Chapter 1: “The Seduction of Ann Coulter,” The Beauty of Conservatism, 2011, available as a free PDF download at www.coulterwatch.com/beauty.pdf. Ann Coulter, “Spikey and Me,” George, May 1999.